Our local farmers' market is in full swing, and like past years, I love making my Sunday trip to the market to stock up on the freshest, local, organic produce. There really is no comparison to the quality of this produce. 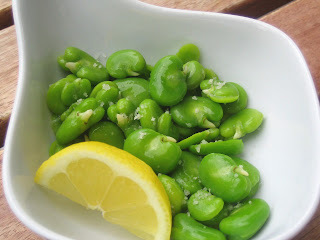 And right now it's the season for fresh broad beans, also commonly called fava beans. These are like the T-Rex's of beans! They're huge and beastly looking, leaving produce lurkers questioning how to tackle them! 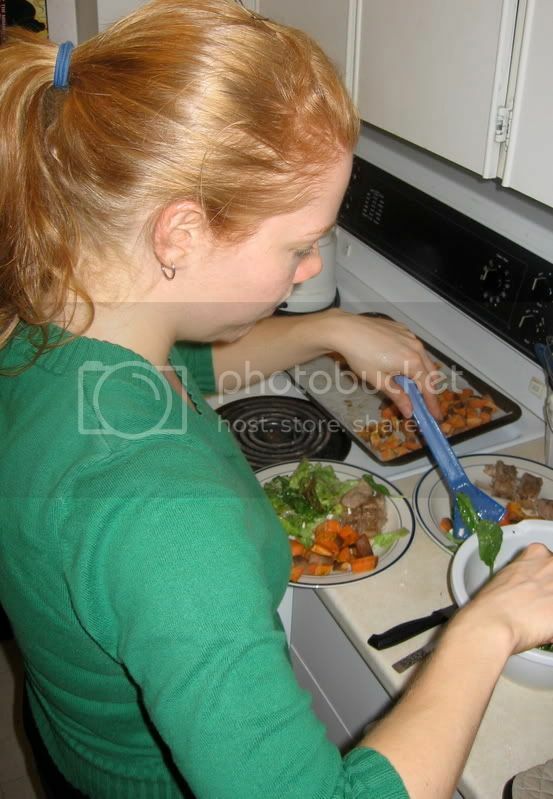 Well, while they involve a little more prep than say green beans or snow peas, they are actually easier than you might think. First, be sure to buy the beans as fresh as possible, and to use them soon after purchasing - within a day or two if possible. Shell the beans. The pods are thick and dense, but easy to pry open. I typically break the end and get the stringy bit that runs along the side edge. If you can get that, pull it down the side and the side opening easily opens up. If you can't get the stringy bit, the pods are still easy to tear open. Then, get a small pot of water boiling. Then, steam the beans for just a couple of minutes - long enough to bring them to a bright green inside the skin - but again, just a couple of minutes. Overcooking will bring the beans into 'greyish mushy pea taste and texture' territory, and we don't like that. So, after just a couple of minutes steaming, remove, and, to stop the cooking process, run the beans under cold water (in a strainer or the steaming basket) for a minute or so. Next, slip the skins off the inner bean. This part takes a few minutes, so if you have little helpers, this is sure to keep their hands busy. Our girls loved this job, as you can see two different pairs of hands working through the beans. (and, while little hands might dent and dig into the beans some, it's still totally worth them joining in!). Finally, season the beans simply. I used a squeeze of lemon juice and drizzle of olive oil, finished with a sprinkling of sea salt. Next time I pick up broad beans, I'm going to work them into a spread/dip... will keep you posted... until then, pick up some broad beans at your own local market and give them a try! Fava beans are my fava-rite. Gorgeous pix, Dreena. They are so much greener than the ones we have here. Oi! I wonder if we will get those at our Market here in Alaska! Probably not those, we generally get hosed on cool produce like that. I'll surely keep my eye out though! I finally got a copy of your book! I'm so excited. I was just tickled when I grabbed it at Barnes and Noble, because I was like "OMG I so read her blog!" I always say "beans are the new meat", because they are so filling. But why do we almost never hear about them - just "fruit, vegetables and whole grains". It's time to share how important beans and legumes are to our diet! Thank you for teaching us how to eat fava beans. I love your site. I don't follow a vegan lifestyle but I'm always looking for new recipes as well as ways to incorporate more veggies and different foods into my family's meals. I was looking at the 'broad beans' at the market recently and they looked so fresh but I didn't know how to cook them so I passed. Now I must get some and try them out. Thanks! Oh yum! I love the simple beans + lemon preparation. So colorful! Thanks for demystifying these for me, Dreena! If I see them at our market, I'm definitely up for trying them, they look and sound delicious. Believe it or not, I've never had fava beans before! Your way of serving them sounds so simple but delicious. Favism is a genetic disorder which involves the lack of a blood enzyme. 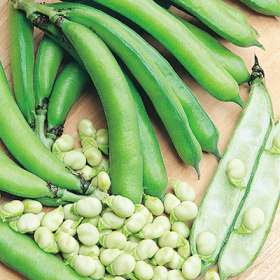 Eating fava beans (broad beans) or inhaling pollen of the bean plants will produce favism, a hemolytic (blood) disease. General symptoms are fatigue, extreme paleness, nausea, abdominal and/or back pain, fever, chills and difficulty breathing. Symptoms in severe cases are jaundice, renal failure and hemoglobinuria (hemoglobin in the urine). Onset time for favism is 5 to 24 hours. Recovery occurs when further exposure is avoided. Urban vegan, HA!!.. I had no idea - that's a riot!! ...and since hubby doesn't love things like green peas, he wasn't *too* interested in the fava beans... I'm guessing he'll give them a second try now, ha! Bronnie, I don't know, and I agree... I'm all about beans and greens - love 'em both!! Ms. Porter, good luck if you try them out - and season them with things that you love the best - if that's a splash of balsamic with the oil, go for it... or a light grating of fresh garlic... go with that! And thanks, glad you enjoy my blog. 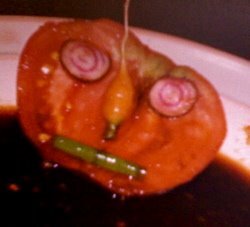 Vegnextdoor, I came across that yesterday when looking for some fava bean images and links. But I didn't find any specific information, so thanks for including this here. I thought I read too that it was only for fresh broad beans and not those cooked/canned (?? ), but again, I'm really not positive about that point. Great info to share, thanks. I have to admit, I am not a fava bean fan. Although I've never had them organic and fresh from the market..... BTW that first pic is beautiful. Hi Dreena! I have a quick question about your amazing Homestyle Chocolate Chip Cookies! Previously I made them with whole wheat flour (not pastry) and they came out so yummy everyone finished them off in like 5 mins! But today I made them with the whole wheat pastry flour that I finally bought and the dough was dry and crumbly and hard to form balls because it would keep falling apart..I have no idea why! Can you shed some light on this? Hi Lily! Density/volume of flours varies with brands, and also depending on the humidity in the air when you are baking, etc. I have had the same experience, and so I always advise people that when making the cookies, if they are a touch dry when working the batter together, mix together another 1-2 teaspoons of oil with the maple syrup, and then mix into the batter. If you still need more, add another tsp each, until it comes together. On the flip side, if the batter is a touch oily/wet, take a tbsp or two of extra flour and dust it over the batter with a sieve, and mix this into the batter. It's also *really* easy when measuring flour to have 1 cup that's a little scant and then another time 1 cup that's a little packed and full. Try lightly spooning the flour into your measuring cup, and then level it off with a butter knife. Then, again, if the batter is a touch dry, try the trick of adding another 1-2 tsp mix of oil/maple syrup. Works everytime for me, since I sometimes switch from spelt flour to w/w pastry, etc... though, I do love spelt flour the best - really love the texture it gives, and find I don't have to adjust it as much as when using wheat flour, just as a side note. Hope this all helps! D.
Thanks Dreena you're the best! :) I'm going to make them again tonight!